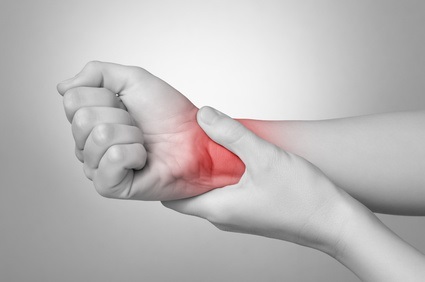 You might have taken part in our recent two-week Online Clinic on Arthritis & Pain Management, where we teamed up with Össur and Pharma Medico Limited, manufacturers of LithoLexal®. The clinic was kindly supported by Arthritis Action, the Institute of Osteopathy and National Rheumatoid Arthritis Society. Even if you did miss it, you might still benefit from the many questions that were asked by talkhealth members and the answers given by our five-member panel of experts. Topics covered include pain management, lumber spinal senosis, fibromyalgia and foot, hand and head pain. Other people asked about back pain, being overweight, whether or not to keep exercising and knee replacements. Several specific queries related to osteoarthritis, rheumatoid arthritis, psoriatic arthritis were also raised, leading our panel to provide lots of valuable guidance. So, if you’re currently experiencing one or more of these conditions, why not take a look at the discussions to see if any of them can help you – or, perhaps, someone you know (click on the link at the top of this post). While everyone’s situation is unique, seeing your GP is always the first thing to do if you believe you have the symptoms of arthritis. They might refer you to a physiotherapist who, according to our experts, should be able to advise on mobility and the most appropriate exercise to do when suffering from arthritis. Our online clinics, on which any questions are always answered by experienced medical professionals, are run to give additional support and, hopefully, relieve some of the huge burden on GP practices and the NHS. Our team of five medical experts who took part in the arthritis and pain management clinic were: Consultant Rheumatologist Dr Sandeep Bawa, Chartered Physiotherapist Tracy Corbett, Health Expert & Author Wendy Green, Registered Chiropractor Stephen Kelly and Head of Professional Development for the Institute of Osteopathy and Fellowship with the National Institute for Health and Care Excellence (NICE) Matthew Rogers. talkhealth runs lots of different forums – all open every hour of the day all year round. You’ll find them all here. Feel free to share this link with anyone who might want to discuss another condition. Our next online clinic will focus on prostate & testicular health, and it runs from Monday 5 to Friday 16 November. You can see all our upcoming online clinics on our website.